Going on vacation is always a joy for the family, except for when you have to see the sad face of your pet as you leave them with a sitter or at the kennel. However, taking your furry friends with you can present more complications than rewards if you haven’t planned properly. 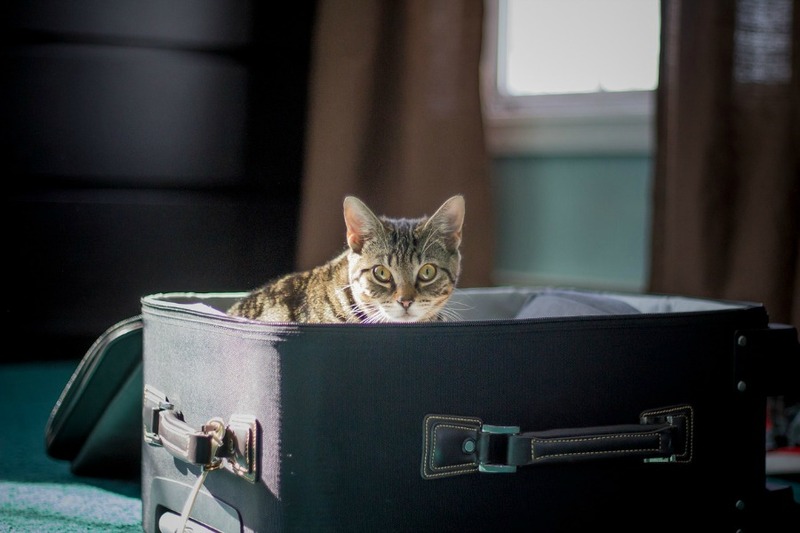 Use these pet travel tips to bring your pets along when you travel and learn about some of the best pet-friendly destinations. Some pets will be better at traveling than others, but all will enjoy exploring a new place. The most important thing is to keep them calm and relaxed during the trip and the rest will be smooth sailing. Rehearse Traveling: For first time furry travelers, practice beforehand by taking them on short drives and gradually increasing the time. If you’re using a crate to transport them, make sure they have a good amount of crate time in the car before the travel date. When possible, take them for a walk around the airport to get them used to the sounds and smells. Know The Airline’s Policy: An average of 9,728 planes are carrying 1.27 million people in the air at any given moment, according to data from FlightAware. Pets are also flying around the world every second, but an airline’s regulations are typically more complicated for your four-legged friends. Be sure you know all of the rules of the airline and the terminal beforehand, and that you’ve prepared for in-cabin travel or cargo travel. Prepare The Crate: If your pet is going to be spending a majority of the journey in a crate, make sure it is the right size for them and it won’t move around during transportation. Line it with absorbent bedding and leave a small bowl of frozen water for them in case they get thirsty. Attach your pet’s identification to the crate so that they are not lost in transit. Be Ready For Other Transportation: Even if you aren’t flying, you may have to take another form of transportation during your trip. Motorcoaches move more people in some years than commercial airlines, with 751 million passenger trips annually. In the case that you will need to take a bus, make sure you know their pet regulations ahead of time. Be similarly prepared for cabs, trains, and boats as well. San Diego, California: As one of the most dog-friendly cities on the west coast, San Diego make the perfect vacation spot for the whole family. Beaches, restaurants, parks, and cafes all tend to welcome dogs and some even have complimentary biscuits. Key West, Florida: Key West has a specific dog beach so that your companion can play in the waves as much as they like. You can take your dog out on the water with Lazy Dog Kayak and visit dog-friendly restaurants at night. Mackinac Island, Michigan: A scene island in Michigan, Mackinac Island welcomes leashed pets on its ferries, trails, and shops. Your pet can even join you on a guided carriage tour through the idyllic island. The next time you go on vacation, look for destinations that will welcome your pets as well. The whole family is sure to have fun, and your beloved pet just might catch the travel bug.